Belgian producer De Mensen partnered with a unique theatre company to make heart-warming drama Tytgat Chocolat (Team Chocolate). 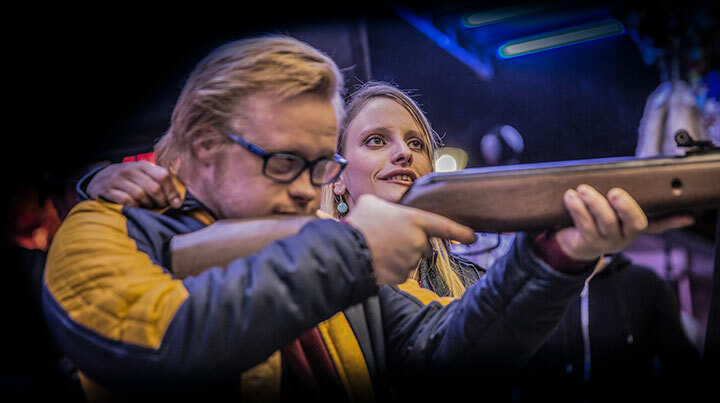 Co-writer/director Filip Lenaerts and producer Pieter Van Huyck recall the origins of the series, which is an example of how television drama can break down disability barriers for actors. Flemmish drama Tytgat Chocolat (Team Chocolate) follows one man’s journey across Europe to be reunited with the love of his life. But the inspiring story behind this heart-warming romantic comedy goes far beyond the plot, thanks to a unique partnership that brought together the cast and crew for an adventure both on and off screen. The show centres on Jasper Vloemans, who works at chocolate manufacturer Tytgat Chocolate and falls in love with Tina, a woman from Kosovo. When she is suddenly deported back to her home country, Jasper and his friends set out off a road trip to find her. 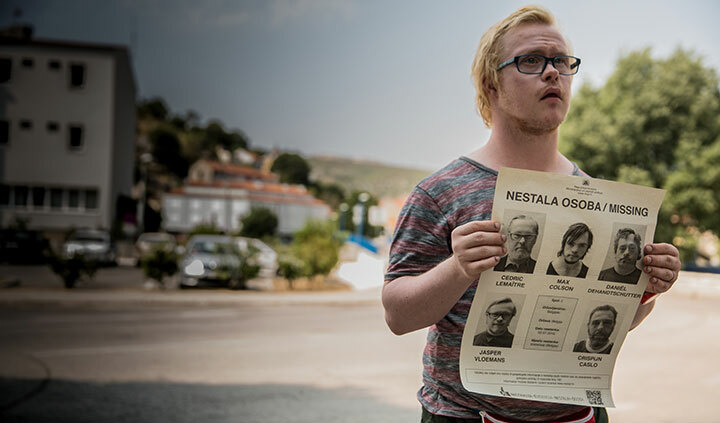 But what distinguishes Team Chocolate from other series is that Jasper, played by Jelle Palmaerts, is a young man with Down’s syndrome, and the chocolate factory employs people with mental health issues and learning difficulties. Produced by De Mensen for Belgian public broadcaster VRT, the series was born from a partnership between De Mensen and Theater Stap, a Flanders-based theatre company for people with learning difficulties. Actors from the company play all the lead roles in the show. 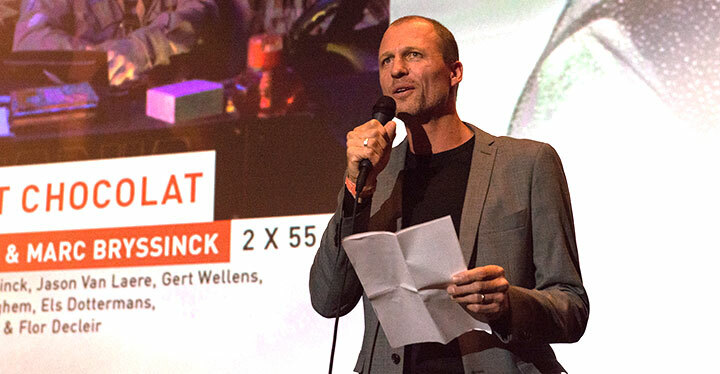 The drama was first pitched in 2010, when documentary maker Filip Lenaerts began shooting a film at Theater Stap. He then partnered with the theatre’s creative director, Marc Bryssinck, to bring the acting troupe to the screen. A short film called Lord of the Flies was produced, before Lenaerts and Bryssinck approached De Mensen with the idea for a scripted series. The duo were already in talks with VRT, so the development process was well underway by the time De Mensen came on board. Producer Pieter Van Huyck recalls: “We do all kinds of genres, from very niche, bizarre comedy to broad romantic stuff and whodunnits. But we always try to find a unique angle or a unique reason to do the project. In this case, the reason was very obvious. Van Huyck notes that the cast sometimes had difficulty memorising a lot of text or needed help to understand a particular scene, but says they were all extremely talented when it came to showing a wide range of emotions. Lenaerts describes writing the series with Bryssinck as a very collaborative affair. Indeed, they sat together every day to pen the scripts, starting in February 2014 and working for about 12 months. Rehearsals began with rough versions of the script, which was then polished several times to incorporate the actors’ own improvisations. Lenaerts admis that working on the series felt like he was back in film school, as he had to dispense with his documentary background. But he says preparation was key to staying afloat – adding that, in any case, drama and documentaries aren’t too dissimilar. “You have to tell a story so they’re not that different in essence,” he continues. “Being a director on this huge film set, I just tried to react very intuitively. When I got hundreds of questions, I really tried to give quick answers. I was also surrounded by experienced people. I learned a lot. The producer also believes the series should encourage others to work with actors who may have disabilities, in whatever form.